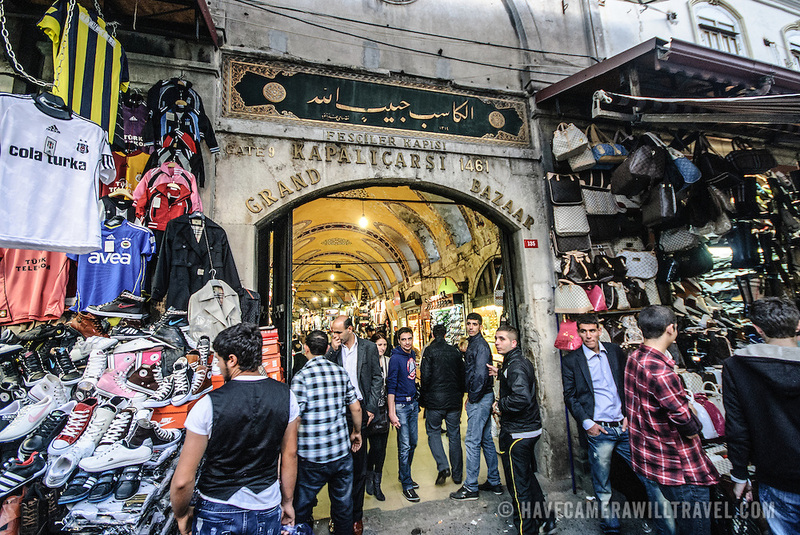 Gate 9 at Kapalocaso, ne of the entrances to Istanbul's historic Grand Bazaar dating to 1461. The outside of the complex is lined with yet more stores, so the entrances end up being rather hidden amongst the bustle. Inside are every-narrowing covered streets and passageways.